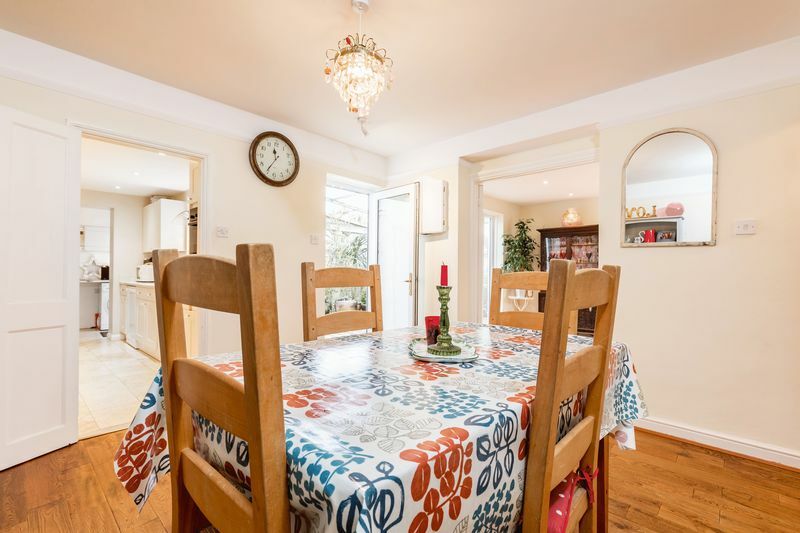 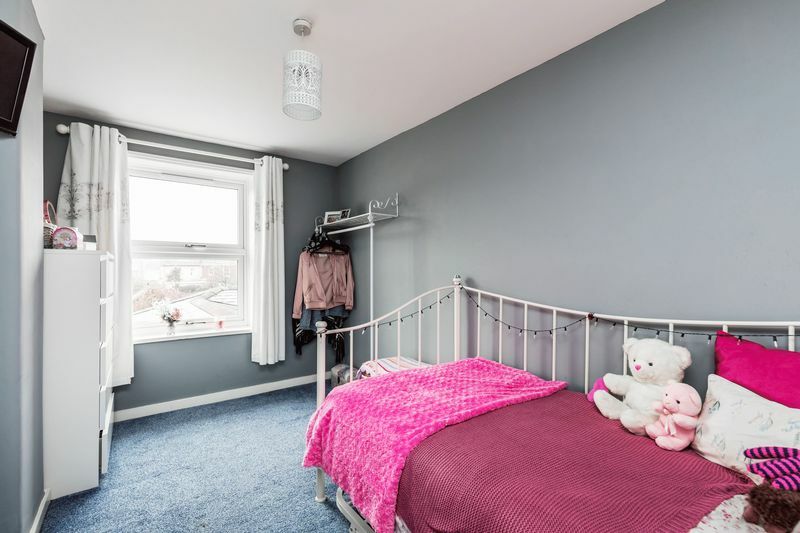 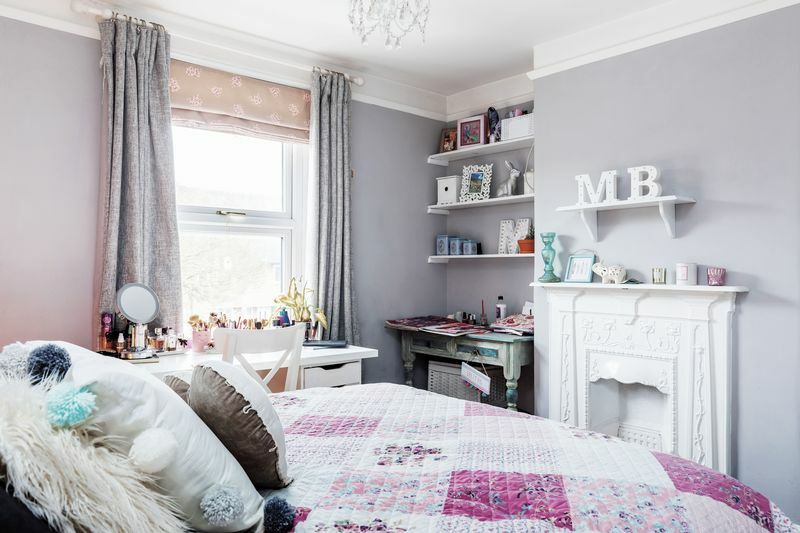 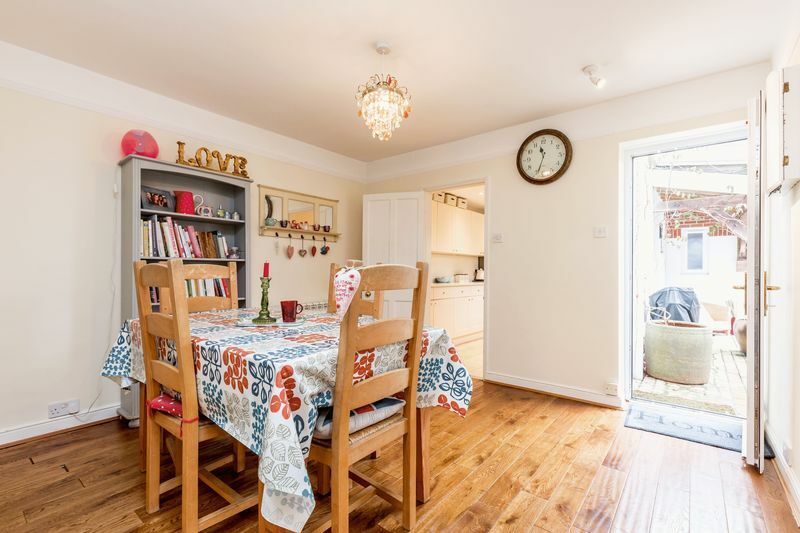 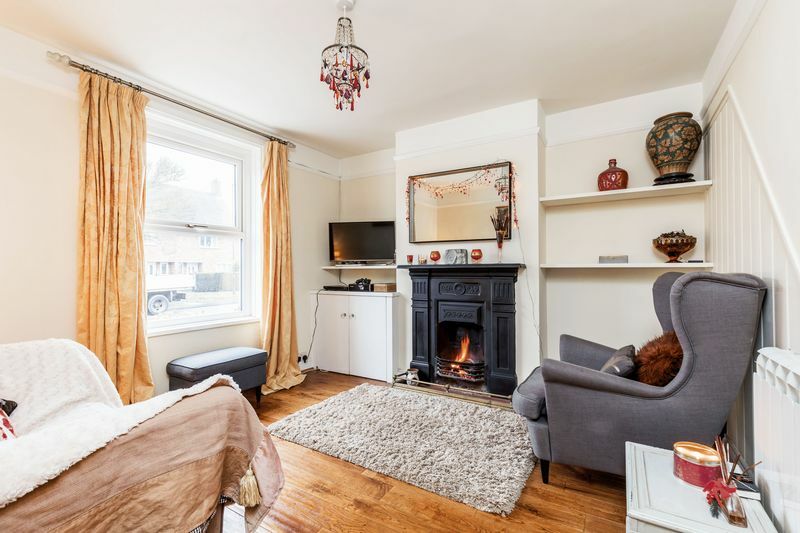 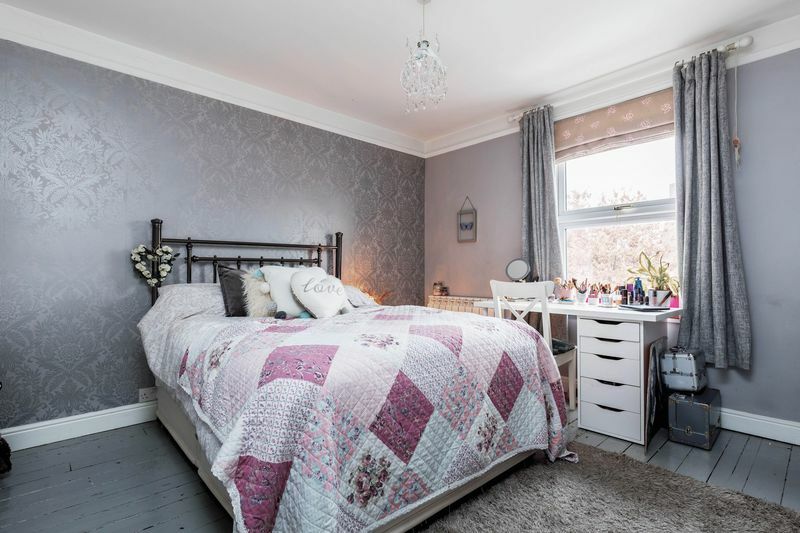 Treagust & Co is pleased to offer this extended home situated in this convenient location within easy reach of local amenities and public transport links. 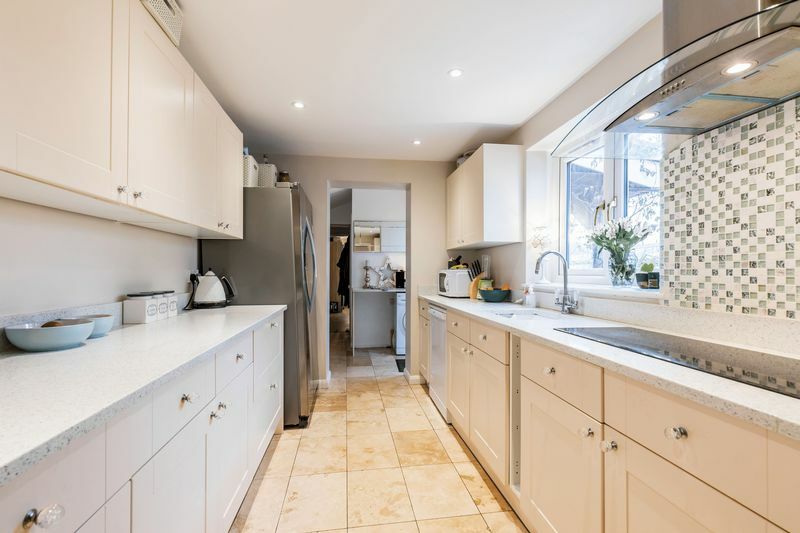 The property has been updated and extended by the current vendors and the home now measures at ……sq ft. 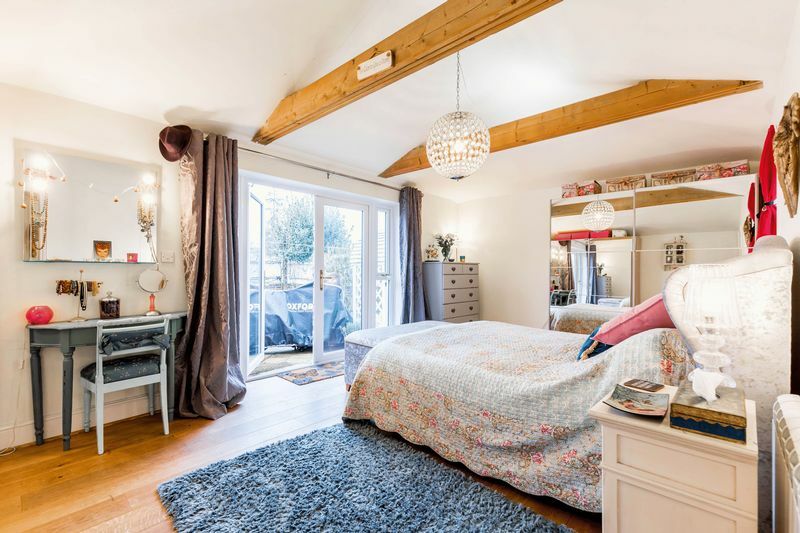 The versatile accommodation allows for a potential ground floor bedroom or annex with en-suite bathroom to the rear (should the next owners require). 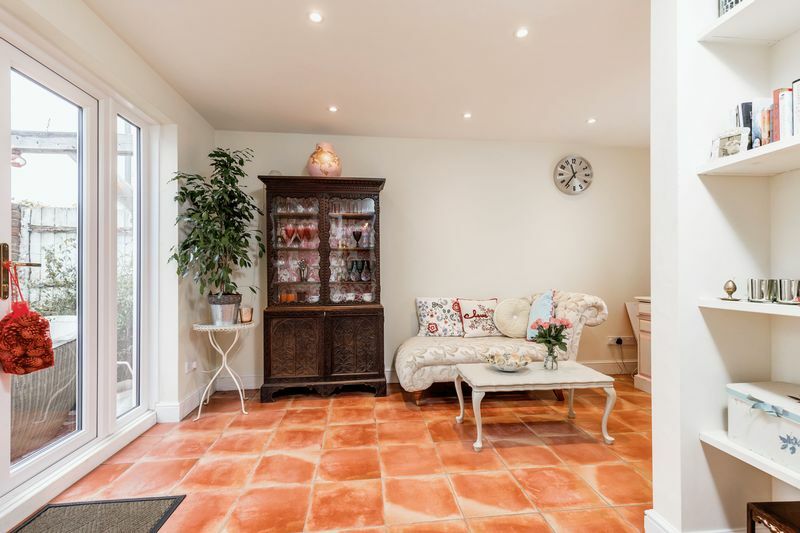 A modern composite front door opens into the entrance hall with storage area. 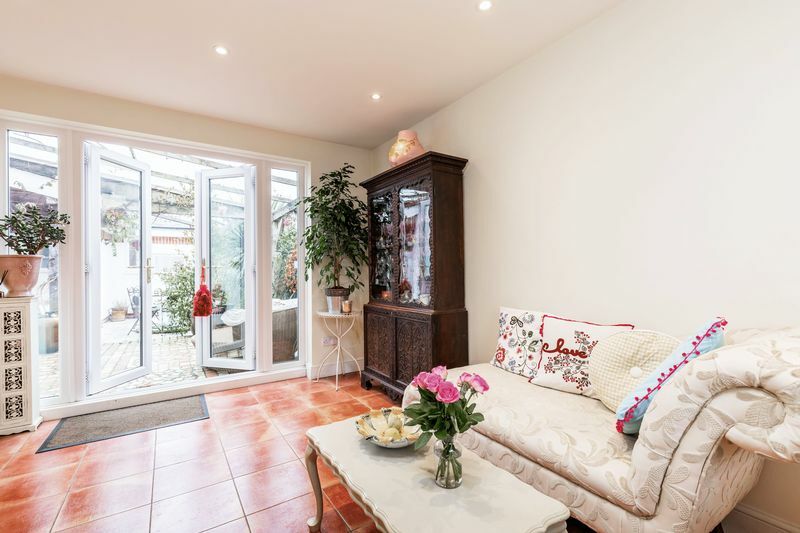 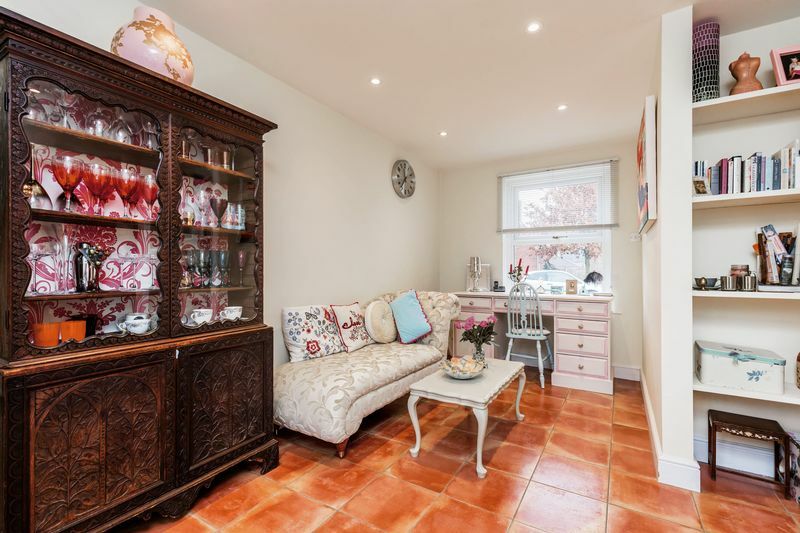 The front aspect sitting room has an open fire with ornate surround and this accommodation flows into a dining room with understairs cupboard and family room with doors to the courtyard garden. 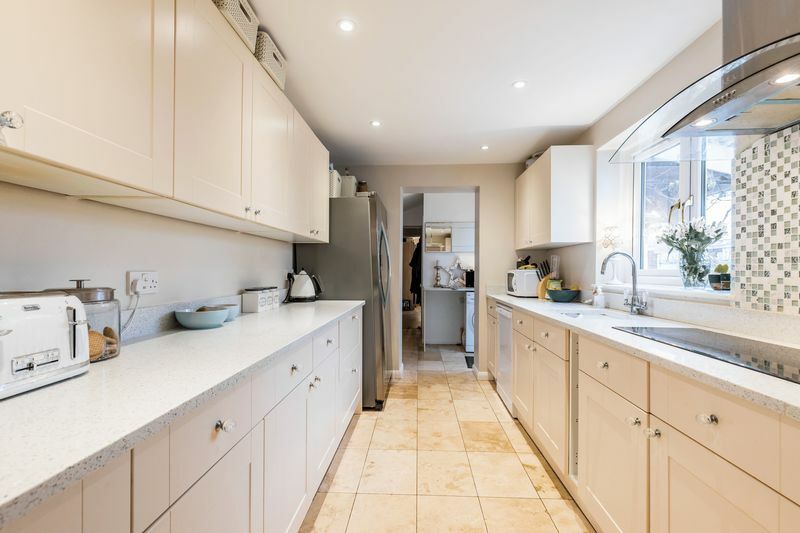 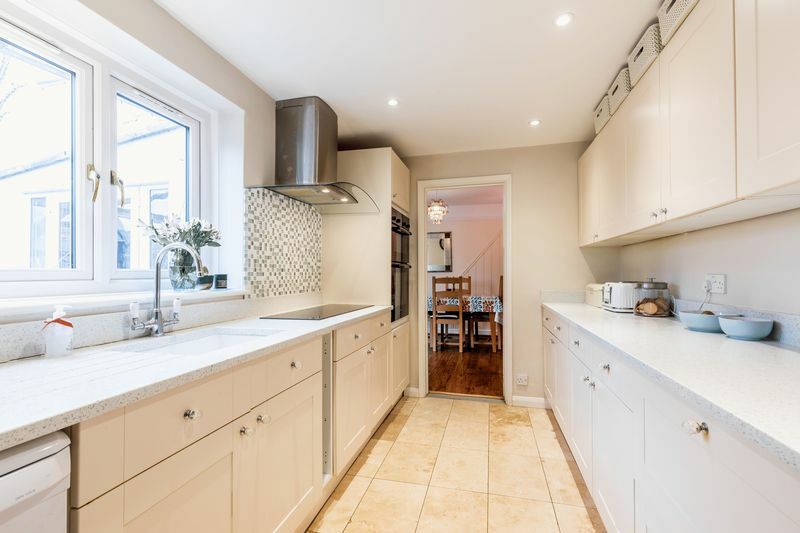 A modern kitchen with tiled floors and granite work surfaces is light and airy, complete with electric hob, mounted cooker hood, double oven and planned appliance space. 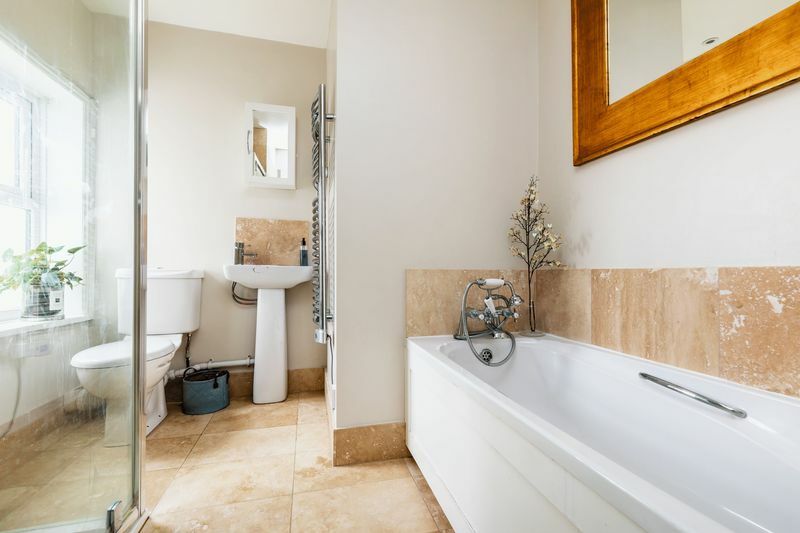 The room continues to a utility area with door to the courtyard garden and separate WC. 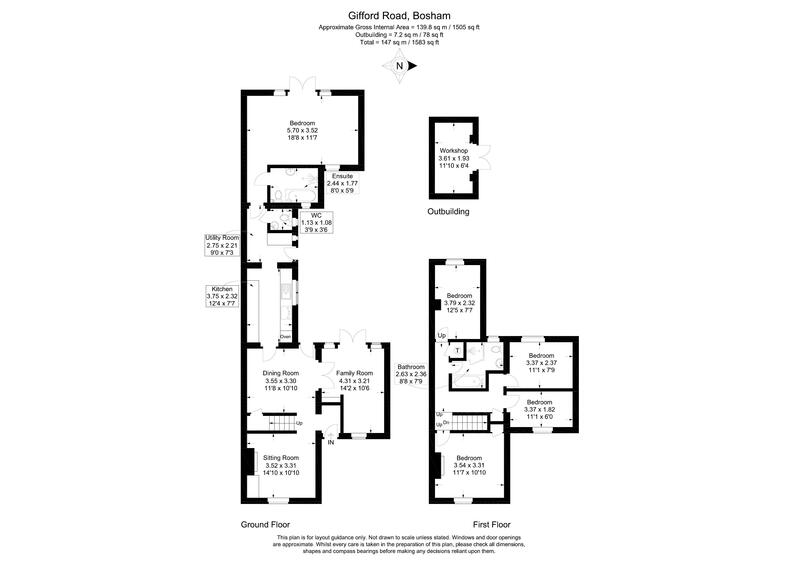 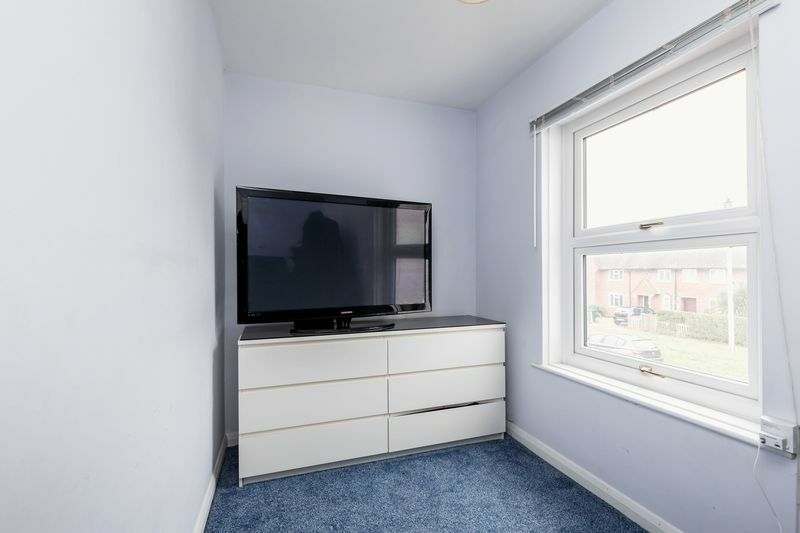 A further (internal) hall leads to a quality vaulted family room (to the rear of the home) which is currently used as a downstairs bedroom with modern bathroom and separate shower. 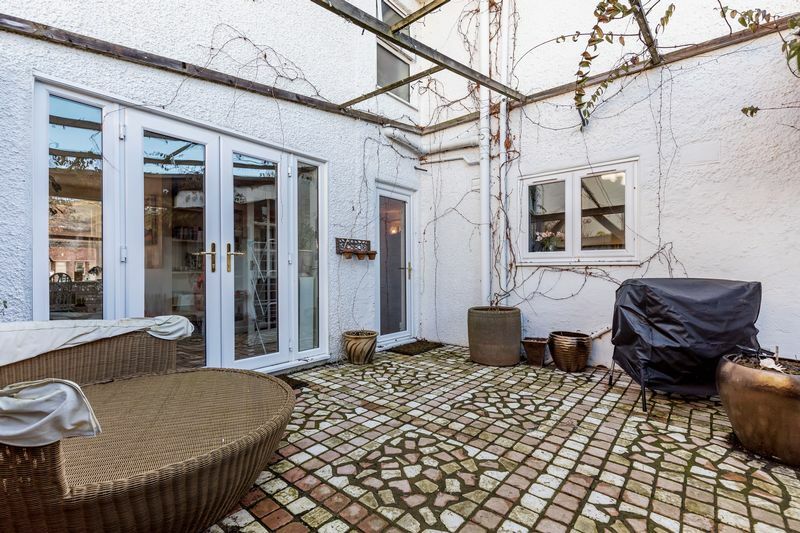 Doors open out to the rear garden. 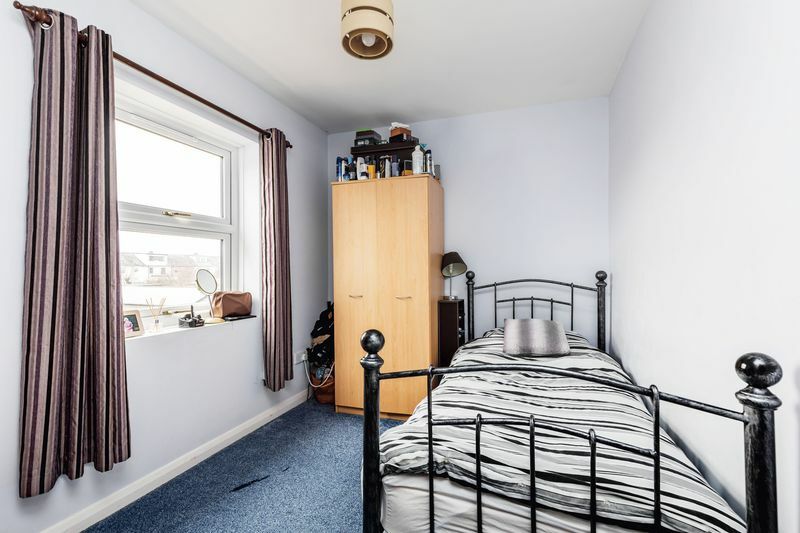 Upstairs the landing with storage cupboard and additional cupboard housing the hot water tank lead off to all of the bedrooms. 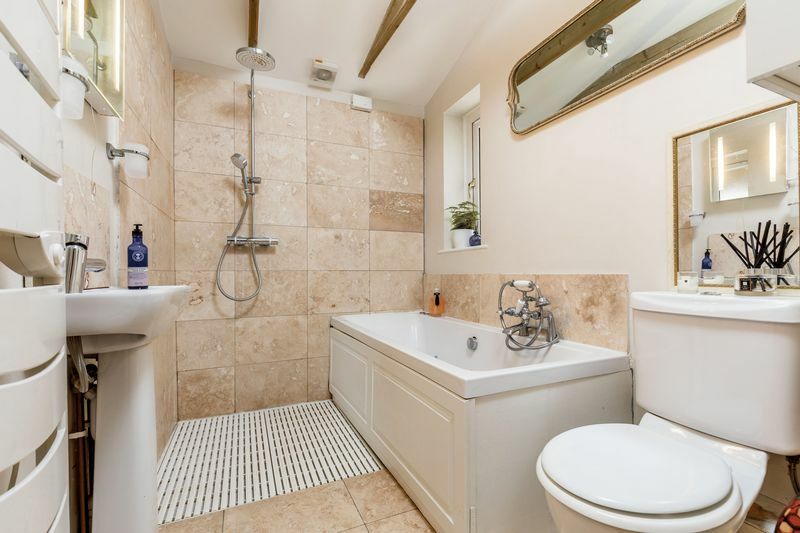 The modern family bathroom has bath and separate corner shower cubicle. 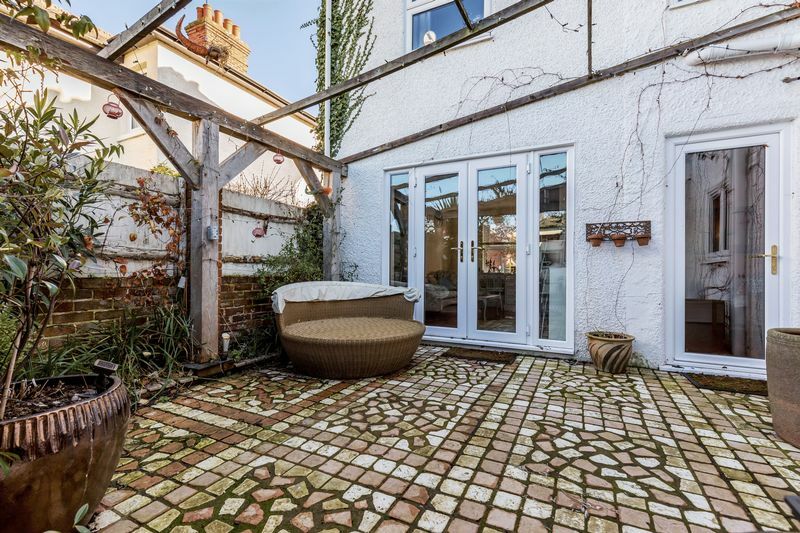 A decorative shingled area, brick wall border and driveway complete the front garden. 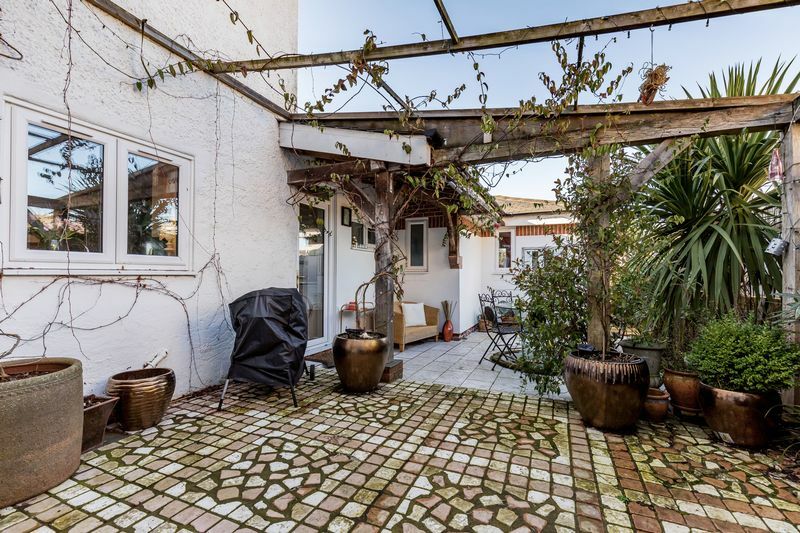 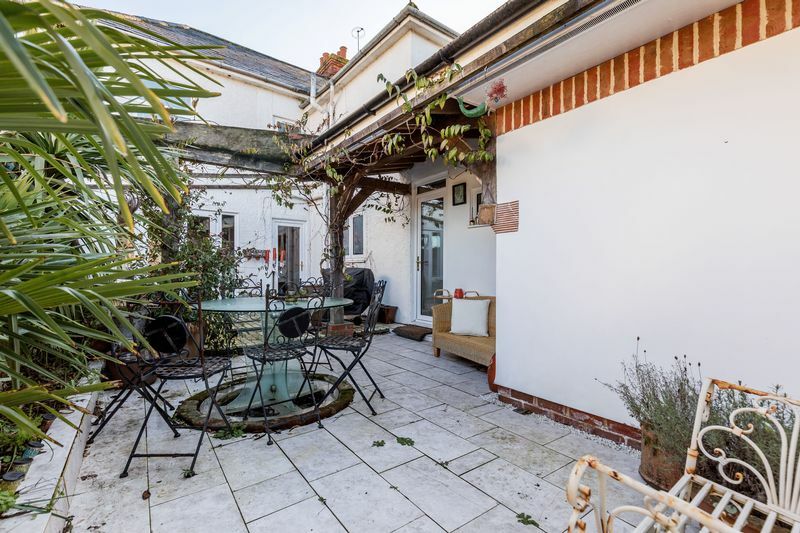 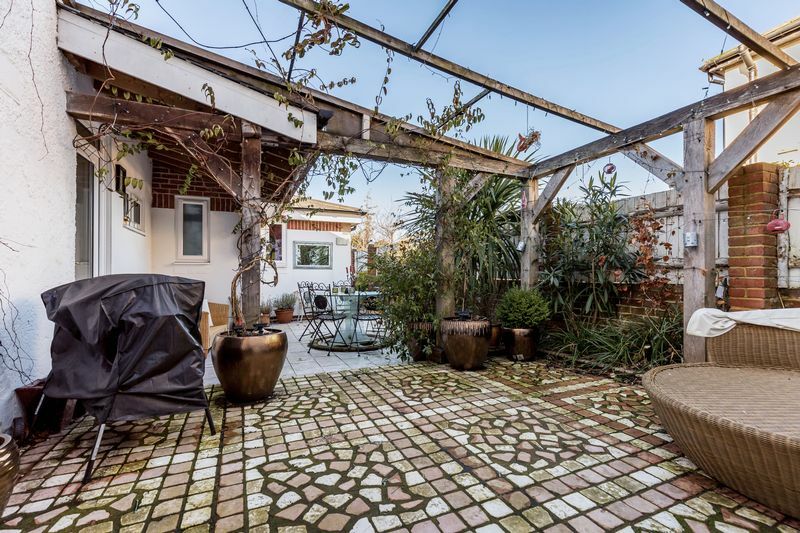 Between the original house and the newer extension is a Mediterranean themed courtyard garden with two tiered sitting out area and above pergola. 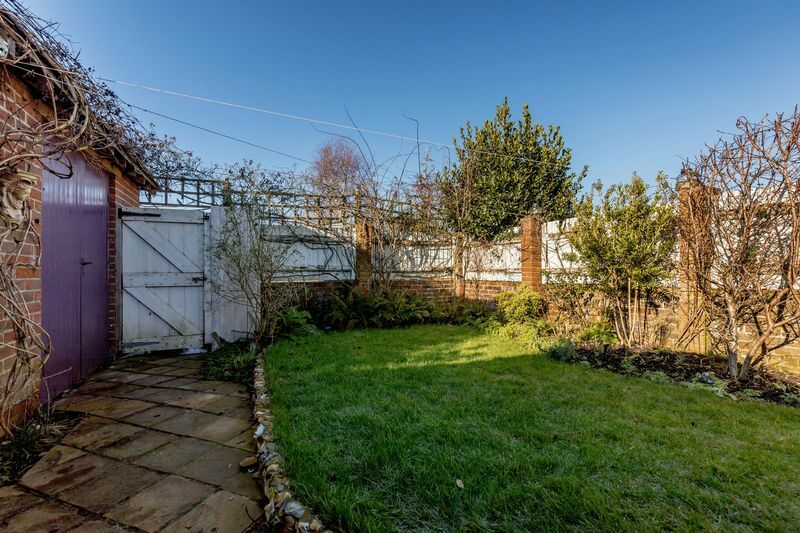 The rear garden is laid to lawn and paved patio, with timber shed, brick store and rear pedestrian access. 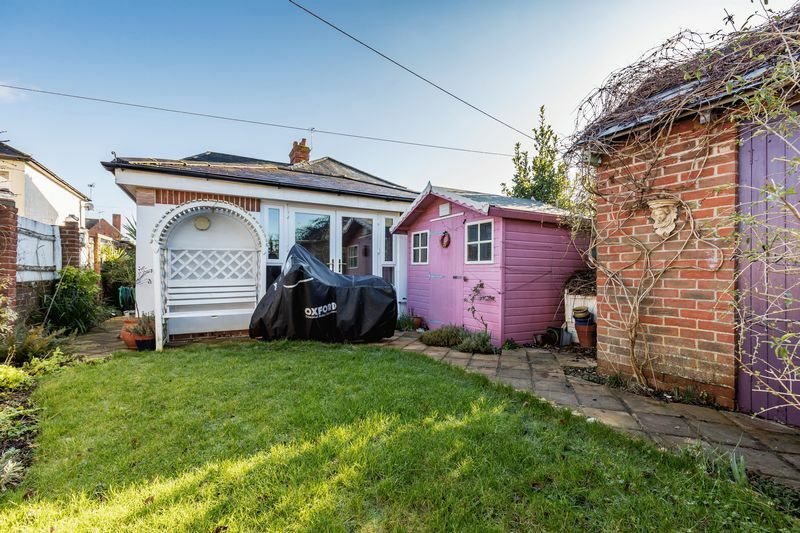 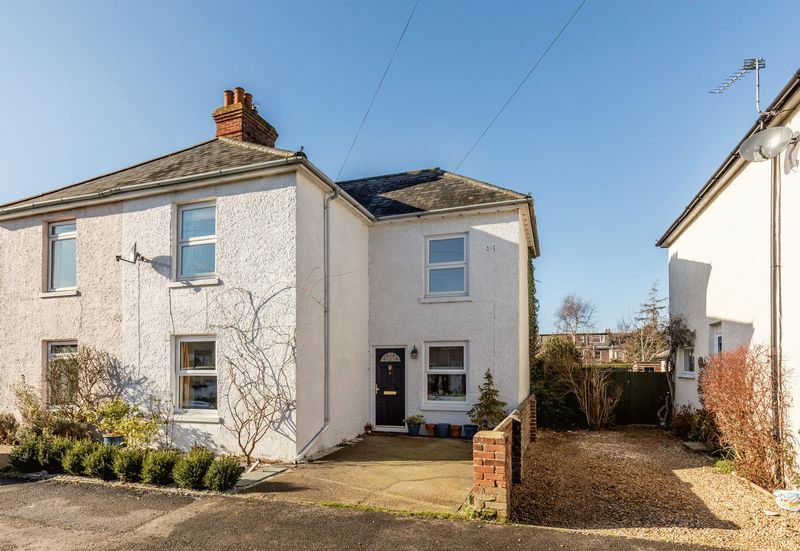 This conveniently situated property is within walking distance of local shops, the White Swan Public house, the main 700 bus route and Bosham railway station. 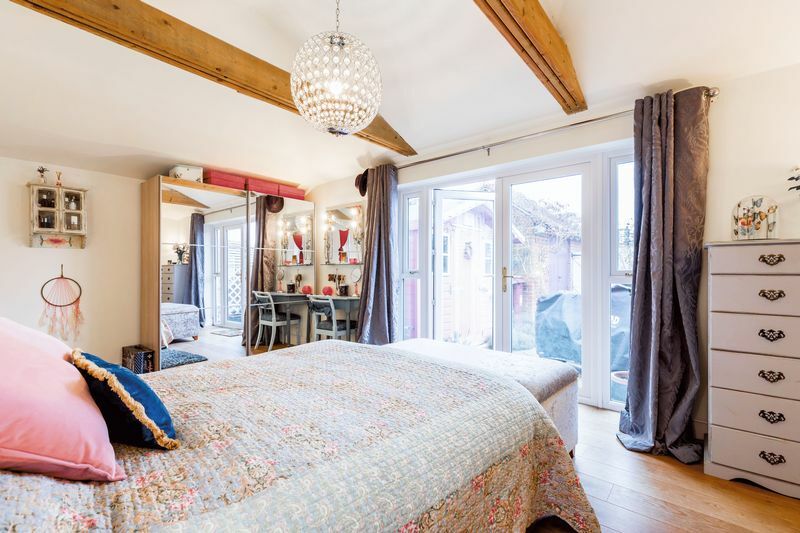 The cathedral city of Chichester is situated approximately 3 miles to the east and offers excellent high street shopping and leisure facilities to suit all including the renowned Chichester Festival Theatre. 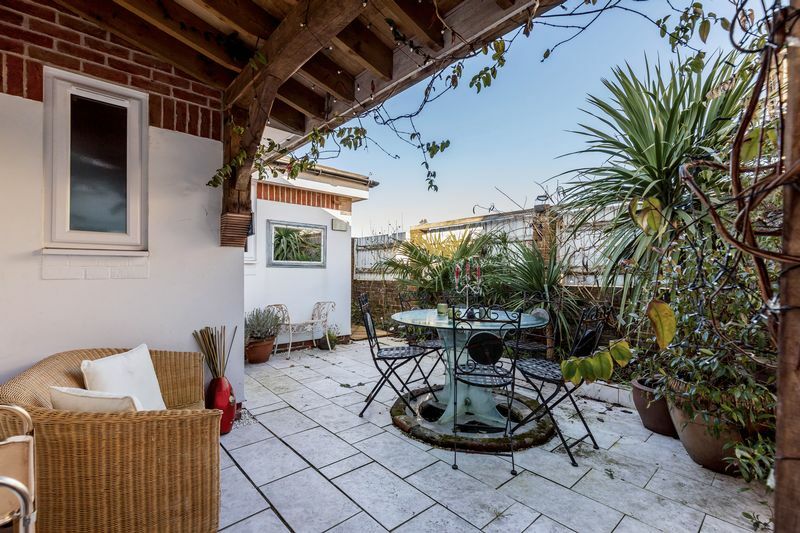 There are numerous walks to be enjoyed locally with both coastal and rural footpaths nearby.